All prices include delivery within the UK mainland. 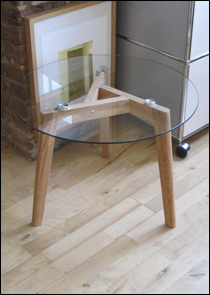 45cm high, 60cm diameter, 6mm glass top. 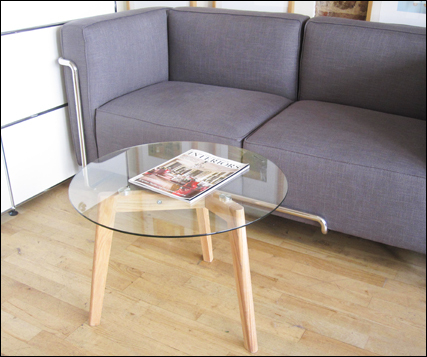 The Tripod coffee table has a tempered glass top and solid oak base.